Every year, the IRS and the Federal Government lose thousands in tax revenue due to the “tax gap,”1 the difference between taxes owed and the money collected. Annually this amounts to around $450 million dollars. Voluntary tax compliance, in other words the people who pay their taxes without the IRS forcing them to pay up, is only 81.7%. When collections by the compliance and enforcement division and late payments are factored in, the percentage goes up to 83.7% and reduces the gap by close to $50 million. Unfortunately, fraudulent collectors have taken advantage of the situation by posing as IRS collections agents2 and intimidating or confusing taxpayers into handing over their money. The Treasury Inspector General for Tax Administration (TIGTA) says roughly 896,000 taxpayers are fraudulently contacted each tax season and just over 5,000 of them have paid over $26.5 million annually to fake agents. A high level of voluntary tax compliance remains critical to help ensure taxpayer faith and fairness in the tax system. Those who don’t pay what they owe ultimately shift the tax burden to those who properly meet their tax obligations. Call to demand immediate payment, nor will the agency call without first having sent a bill. Demand you pay taxes without giving you the opportunity to question or appeal the amount. Require the use of a specific payment method, like a prepaid debit card. Ask for credit card or checking account information over the phone. Threaten to bring in local police or other law-enforcement to make an arrest. These are all scams frequently used to defraud taxpayers, but the IRS also offers some general advice if you feel you are being contacted fraudulently. As of 2015, Congress passed a bill stating that the IRS can use private collection companies to attempt to collect past due taxes. This has been tried twice before without success, once in 1996-1997 and again from 2006-2009. Many are concerned that scam artists will use this policy to prey on unwitting taxpayers. The IRS still offers the same guidelines: third party payments will still have to be made through the IRS, not over the phone, you will never get a call before you have received a bill, etc. This may prompt more phone calls to the IRS, and answering phone calls and getting back to taxpayers is something they already struggle with.5 The IRS has a goal of answering 71% of calls from taxpayers seeking to speak with a representative, and estimates the wait time for those who do remain on the line to be an average of 12 minutes. 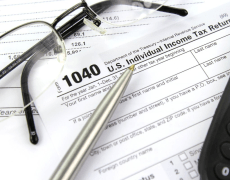 Given this situation, coupled with the constant changes in tax law and IRS collections practices, graduates of the LLM in Taxation program at Villanova will find the skills they have developed in navigating tax laws and policies to be in great demand. Law firms and lobbyist organizations serving as taxpayer advocates as well as the IRS and state departments of revenue all have a great need for professionals to guide future efforts to combat and prevent fraud in taxation.